On Tuesday, November 7th in Toronto, Van der Pop will launch in Canada with a speaker series event highlighting cannabis-related topics from wellness to design to entrepreneurship. We'd like to introduce you to a few of our amazing speakers below – we know their inspiring, insightful stories will spark your curiosity. If you can't join us in Toronto, visit our Instagram between 2-6:45pm EST on Nov 7 to catch presentations and panels covering cannabis-related topics from design to health and wellness. Barinder Rasode, president and CEO of the National Institute for Cannabis Health and Education, shares her journey in public service and how she came to oversee NICHE, which focuses on providing impartial and evidence-based research about cannabis production and use in Canada. Van der Pop founder April Pride talks all things green with cannabis experts Irie Selkirk (medical outreach and outreach lead, Tokyo Smoke and Emblem), Ljubica Kostovic (co-founder of the Museum of Cannabis and consultant), and Antuanette Gomez (chapter head, Women Grow). Topics will include methods of consumption and the evolution of conversations about cannabis. 75% of women use cannabis for health and wellness, including pain management, reducing anxiety and sleep aid. Dr. Biljana Kostovic will discuss her history as a cannabis-advocating medical practitioner, andwill address the bene ts and misconceptions of consuming medical ower. As the weed industry grows, so too will the ability to introduce new opportunities in the elds of design, fashion and beauty. Van der Pop’s head of content, Odessa Paloma Parker, discusses cannabis and creativity with Berkeley Poole (creative director, Tokyo Smoke), Leah Lavergne (founder, High Noon), and Brandi Leifso (founder, Evio Beauty Group, Ltd.). A graduate of the Yale School of Management, Tahira Rehmatullah is the managing director at Hypur Ventures, a venture capital fund dedicated to investing in legal cannabis businesses. She has been consistently highlighted as a trailblazing woman in weed, and will share her insights about the cannabis industry to date and where its headed. As the brand strategist and creative director at LEVO Oil Infusion, Olivia Harris is challenged with developing an innovative brand in a rapidly-changing industry, in addition to educating people about cannabis-infused consumables. She’ll discuss her career path towards breaking the grass ceiling. Three women from the Tokyo Smoke + Van der Pop family will be speaking as part of our Women & Weed event. 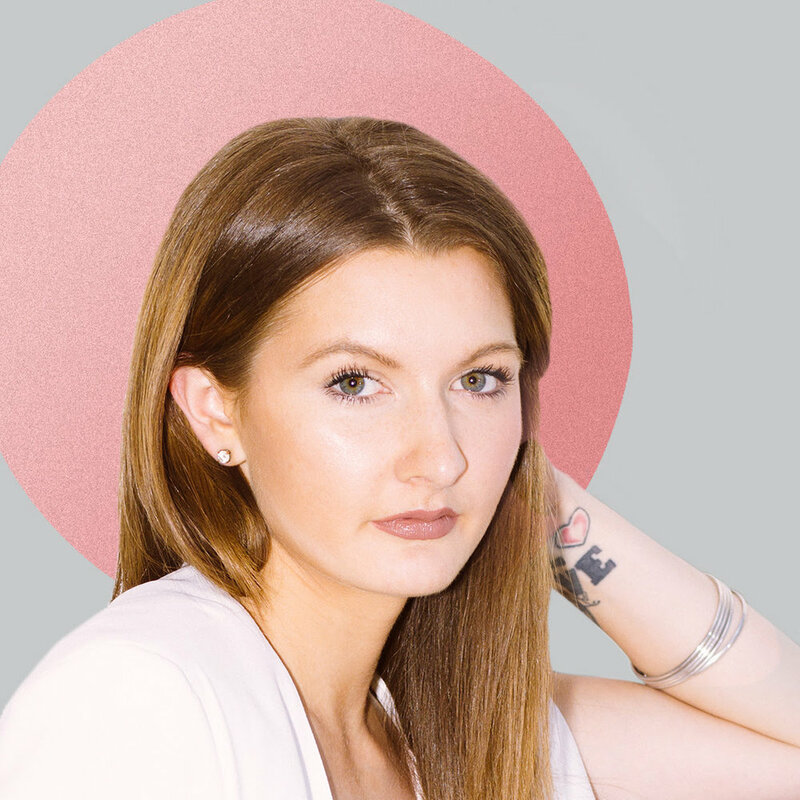 Hear why creative director Berkeley Poole, head of content Odessa Paloma Parker, and director of outreach Irie Selkirk are stoked to be part of the growing number of women working in the cannabis industry. "Coming from the world of fashion, which has become increasingly fraught with issues of ethics and sustainability, it’s so wonderful to be part of an industry and culture that celebrates and encourages inclusion and forward-thinking. The stories coming from the cannabis world — about how the plant can change people’s lives — are truly extraordinary. I feel privileged that I have the opportunity to be at the forefront of a new age in history, where people have the chance to live healthier and happier lives." "I’m excited to be working in the cannabis industry because it is undeniably linked to a massive cultural shift at large. People’s perception of cannabis — the properties of it, uses and benefits, the whole visual language and stoner-y associations — they’re all being challenged and redefined. Pair that with insane exponential growth in a hyper collapsed timeframe, and you have this energy and excitement that hasn’t really been seen since the birth of the internet." "The cannabis space is more than just a new business to me; it represents social change, an equal opportunity for women to enter a disruptive industry, and a return to trusting ourselves — transforming the way we care for our bodies and our families. I grew up with positive experiences around cannabis, from my childhood in Jamaica to my work in the medical field. It is integral to my healthy lifestyle and state of mind. I’m passionate about spreading my knowledge and experiences to dispel the stigmas surrounding this plant." 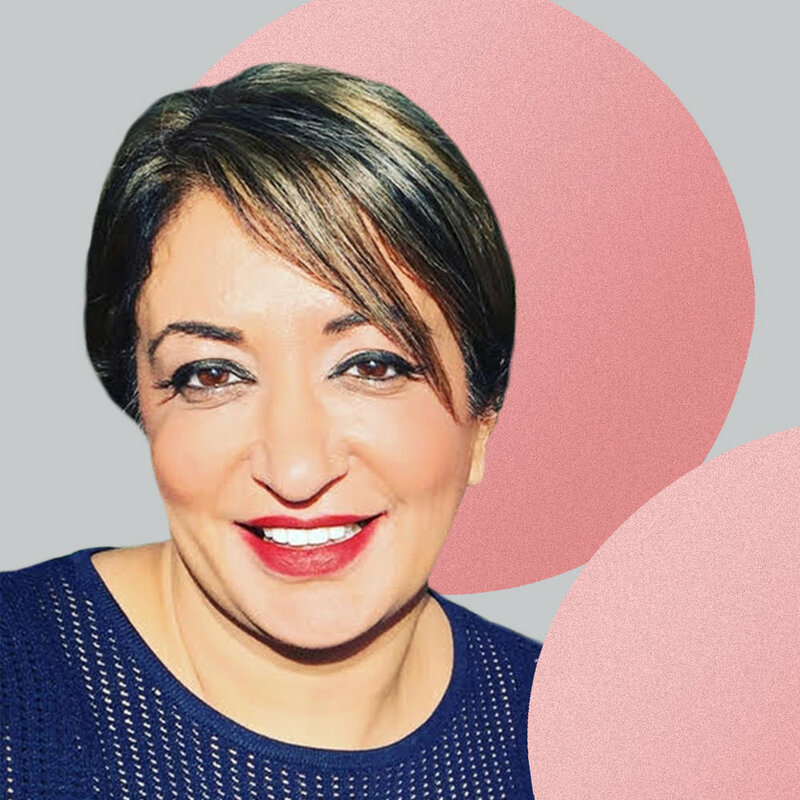 Tahira Rehmatullah is the managing director at Hypur Ventures, a venture capital fund dedicated to investing in businesses that operate in the legal cannabis industry. She's also consistently been named a trailblazing woman in weed. I stumbled upon cannabis while I was in business school, not because it was all the rage it is now, but because my grandfather was battling cancer and cannabis popped up as a treatment option everywhere I turned. I was fascinated. Although I was never a stranger to cannabis, I didn’t realize how multifaceted the plant was until that time. Through a series of fortuitous events, I found myself in the cannabis industry with Privateer Holdings, which led to my work on Marley Natural as General Manager. Today, I’m Managing Director at Hypur Ventures, a cannabis industry VC fund. The cannabis industry is a confluence of many different topics – public policy, emerging markets, social justice, medical research, economic opportunity…the list goes on. It crosses genders, socioeconomic backgrounds, religions, and political views. There are few, if any, other industries that bring together such a diverse group of people and ideas. And we’re just getting started. Although the industry has grown dramatically over the last few years, there is still so much to do and we have the opportunity to influence what this industry looks like. What could be more exciting than that? Now, more than ever, women and people of color have an opportunity to be stakeholders in the cannabis industry. Due to the industry’s relative youth, traditional barriers to entry haven’t been as starkly established as other industries. But that's changing very quickly. I hope that the future of cannabis learns from our collective pasts and creates a more equitable environment for those who have traditionally been left behind, both from an opportunity and criminalization standpoint. I’m encouraged by the number of women and people of color who make up the many businesses in this space, and know that we can create new norms and influence broader social change if we continue to elevate these groups by supporting emerging leaders. How did you become involved with the cannabis industry? As a City Councillor in Surrey, B.C., I was viewing the cannabis industry solely from a public safety lens. I supported zoning by-laws that made it impossible for any production or retail facilities. Many Canadians' opinions have evolved because they see the benefits of cannabis for medicinal use. That was definitely the case with me. What's one challenge you've faced being a woman in the cannabis industry, and how do you work to resolve it? I am encouraged by the number of women who make up the faces of the cannabis industry. We have to be thoughtful about encouraging and elevating women to put their hands up and take leadership roles. Women tend to defer to others, as they don’t believe they are ready. What do you feel most passionately about when it comes to connecting women with cannabis? I am most passionate about the benefits women can get in regards to health, especially for women my age. This excites me as much the opportunity to be leaders at the beginning of an industry that is redefining this country. What's been the most fulfilling thing about working on the Levo brand? Working in such an exciting industry has its fair share of meaningful moments, but the most incredible thing, hands down, is hearing from our customers about how LEVO has changed their lives. Many of them have lived with chronic illness and pain for some time and are now empowered to trea their symptoms easily and safely at home. Those stories make all the blood, sweat and tears infinitely worthwhile. Why do you find the current cannabis industry climate so exciting? The cannabis industry is truly merit-based. I believe smart, thoughtful and passionate people can thrive here even without an "in". For this reason (and several others), it's been an amazing space for women to thrive, and it is beyond awesome to be surrounded by so many female-founded brands. Education is paramount. Let's teach women a multi-faceted approach to cannabis, so they can incorporate it in the most beneficial way into their lifestyle. Personally, I'm an evangelist of alternative treatment options. In addition to edibles, I love suppositories, topicals and transdermal patches. Many women just don't know all that lies beyond the bong. Brandi Leifso, CEO/Founder, Evio Beauty Group Ltd.
Why are you planning to launch a cannabis-centric beauty line? There are so many benefits to cannabis when used topically; it reduces inflammation, fights bacteria and has anti-aging abilities. However, the cosmetics industry is generally very conservative with very traditional consumer patterns. As of late, the cosmetics industry is going through a big shake up, with indie brands taking a large market share, along with "green" beauty making it's way to the mainstream with increased knowledge of product ingredients. We're grateful to be making our mark in the conservative, green and indie spectrums of the market as the "scrappy" beauty company that is willing to take risks. Because of our network in the cannabis space and our edgy voice in the beauty space, we strongly believe that we're a good fit to be of the few beauty brands to pioneer the benefits of cannabis in the conservative beauty space. What was your relationship to cannabis prior to starting to work on a cannabis brand? My best friend, Natasha Raey, has worked in the cannabis industry for years and by default I've found myself spending time in this space socially and professionally. Natasha has been a driving force behind women in cannabis and was a founding member of Lift Cannabis, a leading Canadian resource for exploring, buying, and using medical cannabis. By coincidence, prior to conceiving the thought of a cannabis line collaboration with a Canadian LP, Paul Rosen joined our advisory board at Evio Beauty Group Ltd. Over the last five years, Paul has become one ofCanada’s most active and diversified investors in the emerging cannabis industry. Personally, I've been exploring and enjoying the benefits of cannabis-infused personal care products for some time. Love this question! It's really inspiring to see an industry emerging with so many women in leadership rolls. The industry is full of tenacious people who are willing to take risks and be incredibly resilient along the way. I can relate to that. I'm fuelled by surrounding myself with like-minded women. In the cosmetics industry, men hold the majority of leadership roles. Ironic, isn't it, in an industry that's consumer base is 98% female?! I think we have a lot to learn from women in cannabis. If you weren't able to secure tickets to the VdP Women & Weed launch, don't worry! We'll be broadcasting portions of the event on Instagram Live.